Retail Sales Counter - Free Shipping! 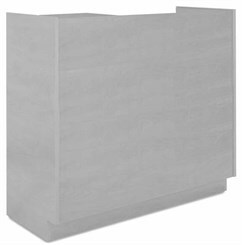 Made to order in your choice of several colors in sizes ranging from 3' wide to 6' wide! All counters are made of a durable laminate construction to hold up to the busiest of retail stores. 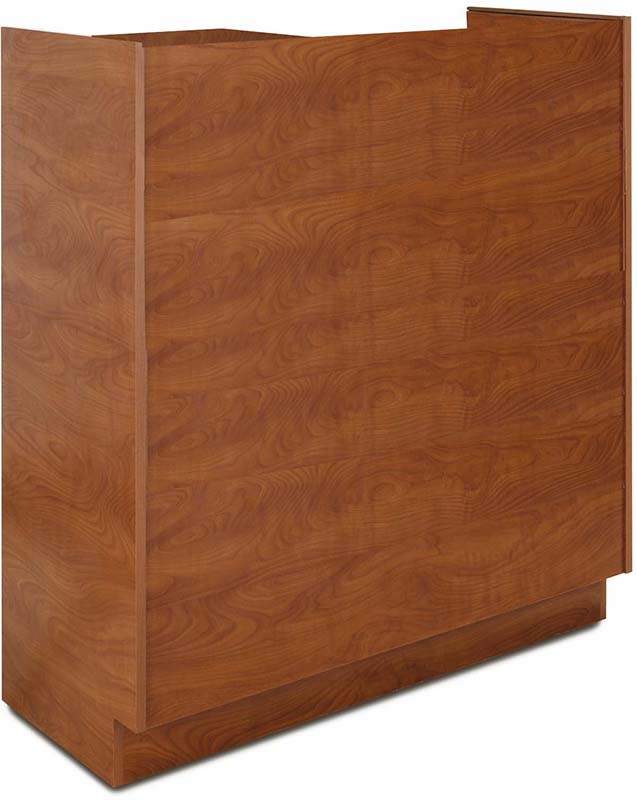 Standing height worksurface of 36� allows salespeople to easily check in/out guests with plenty of space for a cash register. 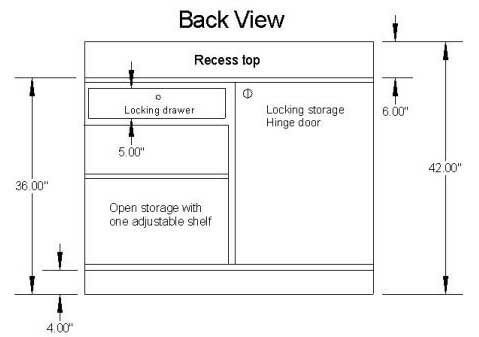 Also includes both open and locking storage. 3' Wide Retail Sales/Cash Register Counter sold above. See other sizes below. 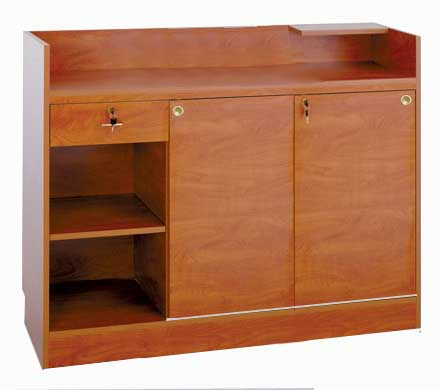 3' Wide Retail Sales/Cash Register Counter measures 36"W x 20"D x 42"H overall. Shpg. wt. 213 lbs. Ships assembled. PRICE INCLUDES SHIPPING! (Truck shipment - See Terms & Conditions). Please allow 4-5 weeks for delivery. 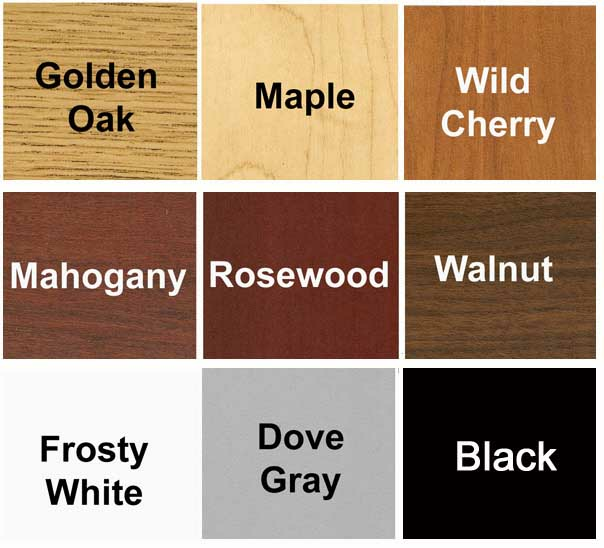 * Choice of 9 attractive, scratch resistant laminate colors. * 36"H worksurface ideal, for standing. 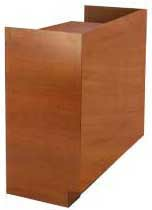 * Check writing area 16-3/4"W x 4-3/4�D stands 42"H from ground. * Locking drawer on left side. 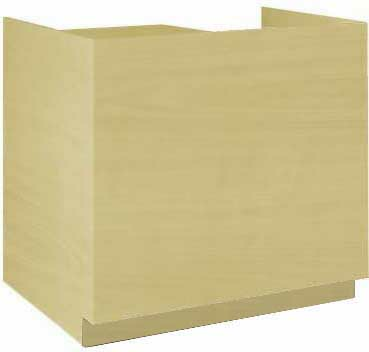 * Open storage with one adjustable shelf on left side. 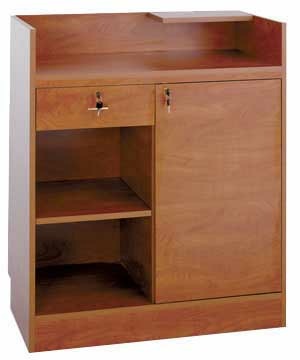 * Right side of counter features locking door. 3' size includes one hinged door with lock. Sizes 4' and wider include locking sliding doors. Just like counter above but 4' wide and with sliding doors. Same size check writing counter. 48"W x 20"D x 42"H overall. Shpg. wt. 274 lbs. Ships assembled. PRICE INCLUDES SHIPPING! (Truck shipment - See Terms & Conditions). Just like counter above but 5' wide and with sliding doors. Same size check writing counter. 60"W x 20"D x 42"H overall. Shpg. wt. 308 lbs. Ships assembled. PRICE INCLUDES SHIPPING! (Truck shipment - See Terms & Conditions). 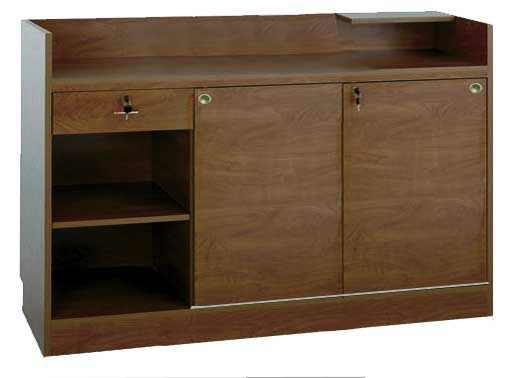 Just like counter above but 6' wide and with sliding doors. Same size check writing counter. 72"W x 20"D x 42"H overall. Shpg. wt. 345 lbs. Ships assembled. PRICE INCLUDES SHIPPING! (Truck shipment - See Terms & Conditions).